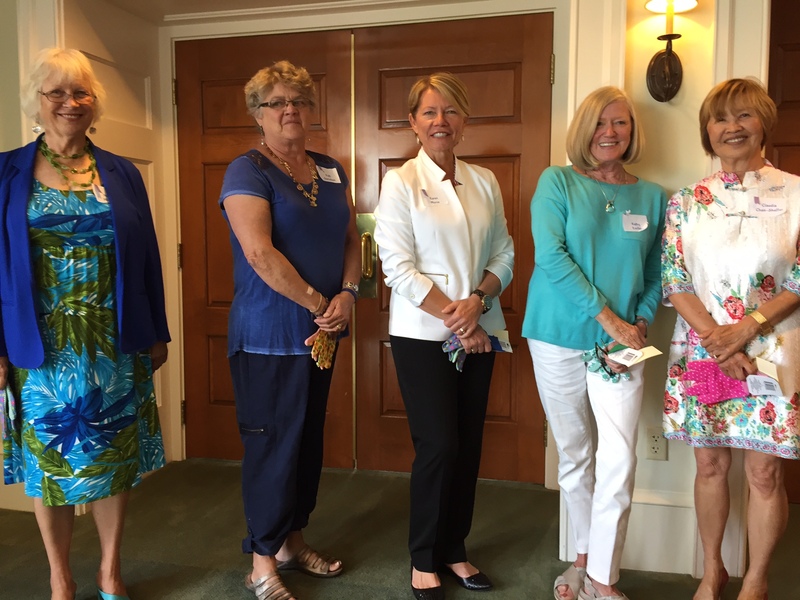 Left to right: Caroline Meade and Pam Filley, 2nd Vice Presidents; Co-Chairs, Programs, Patty Glynn, 1st Vice President; Anne McCammon, Corresponding and Courtesy Secretary; Kathy Easter, Treasurer and Mary Mitchell, President. Not pictured: Rachel Perlmutter, Caroline Meade and Pam Filley. 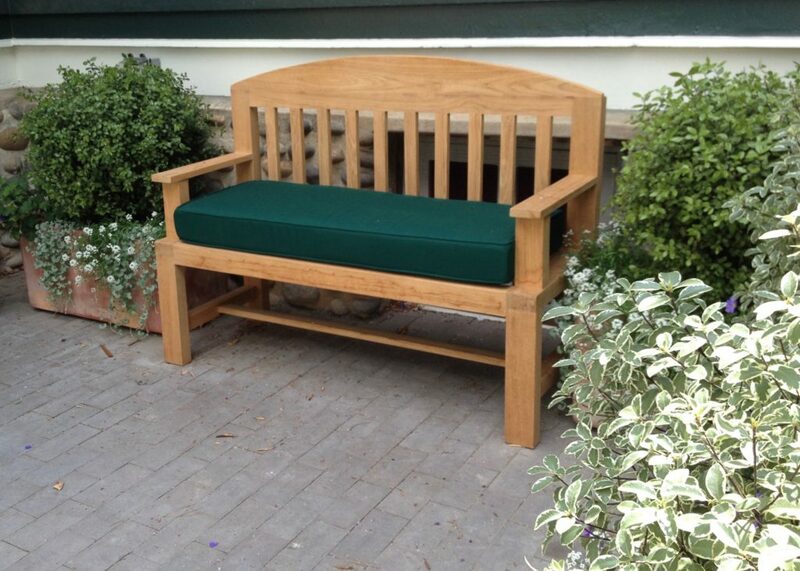 Tucked into a patio between the Wisteria Cottage and the Balmer Annex is a small but exquisite green and white garden with a teak bench designed by a DelMar craftsman. 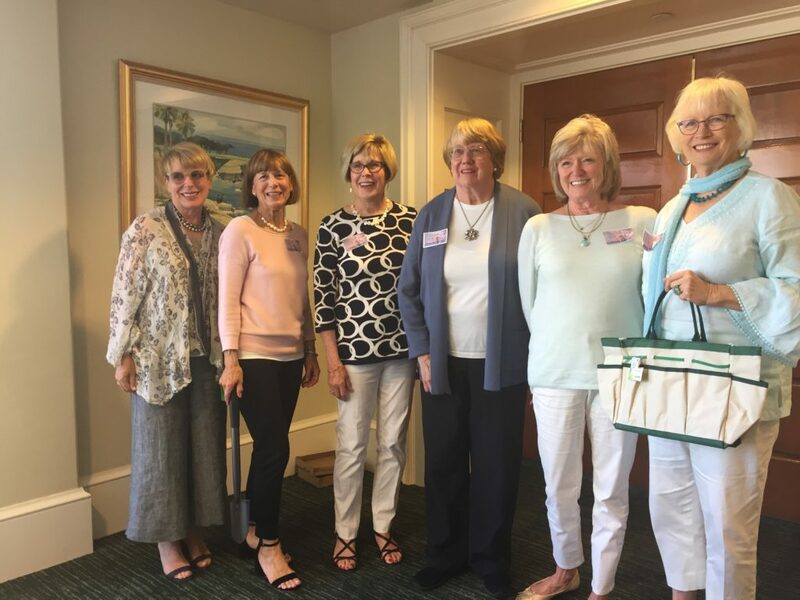 Our club, with Jody Petersen as the coordinator filled planter boxes with varieties of pittosporum and snow crystals alyssum. “We always have special projects that we like to do for the community and this met the criteria for one of those.” said Petersen. The La Jolla Historical Society is extremely grateful to our Garden Club for this installation and maintenance. Two of our devoted Club Members Anne Holst and Will Herring tend to this Courtyard each week. The Penny Pines Program sponsored by the USDA Forest Service enables Garden Clubs to contribute to the reforestation of our forests damaged by fires, insects and disease. Our club contributions go towards our local Cleveland National Forest. Each Penny Pines Plantation costs $68., and our club through donations made at our general meetings has sponsored three so far this year. Three more were made through our club by club members.